The House of Commons 1509-1558 offers readers a groundbreaking examination of the role and significance of the British House of Commons during the Tudor period. 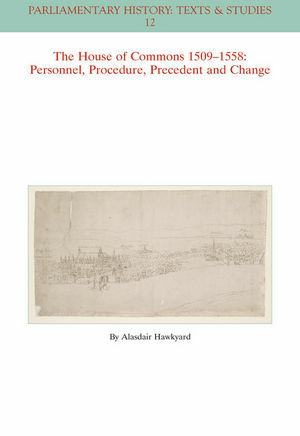 Alasdair Hawkyard is a Fellow of the Society of Antiquaries and the Royal Historical Society. He was formerly Co-editor and Principal Research Assistant on the 1509-1558 section of the History of Parliament. His long-standing interest in architectural, social, and political history is reflected in a range of articles published in Parliamentary History as well as other academic journals. He is the co-editor of Sir Thomas Duppa’s Commonplace Book (Wiley Blackwell, 2015) and co-author of The Counties of Britain: A Tudor Atlas by John Speed (1988).